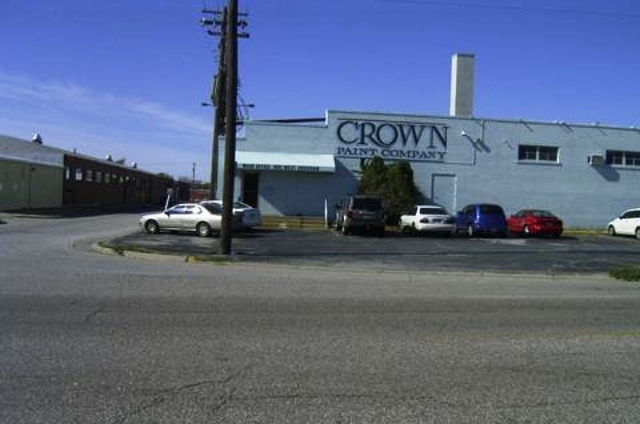 Crown Paint Company develops, manufacturers, and services industrial coatings for numerous markets. All of our coatings are designed around our customers performance needs. Crown Paint Company develops, manufacturers, and services industrial coatings for numerous markets. Crown Paint Company’s Gloss Alkyd Industrial Enamels are premium quality modified enamels that provides superior durability and weathering performance in exterior or light industrial environment. A workhorse commercial latex coating designed for use on interior and exterior surfaces. Latex formula for interior/exterior use, low odor and VOC compliant, one coat coverage, easy water cleanup. Lead, chromate, and heavy metal free. Chlorinated Rubber Acrylic Pool Paint features specially treated resins which improve its resistance to submersion, pool chemicals and intense UV. It provides superior color retention reducing chalking and fading. Crown Paint Company’s modified Polyamide Epoxies create a durable and tough chemical resistant coating that produces maximum protection against common corrosive chemicals, moisture, abrasion and atmospheric contamination. Transform your space in no time with Marquee. 100% guaranteed one coat coverage in all colours. Its easy clean-up and short drying time, latex paint has a leg up over oil-based paint for easy weekend projects. The need for a unique paint to coat pipe fencing was developed to enhance the application of a “paint-mitt”. Offered in a wide variety of formulations that meets a broad range of commercial uses including aggressive environments. They are easy to apply, have excellent coverage properties and offer a range of cure times that will exceed your present expectations. Crown Paint Company develops, manufacturers, and services industrial coatings for numerous markets. All of our coatings are designed around our customers performance needs, environmental restrictions and application process. In some cases the coating truly is the finish to a quality product, in other cases; it exists without anyone really noticing. Either way, innovative quality is our utmost priority. Crown Paint Company develops, manufacturers, and services industrial coatings for numerous markets. All of our coatings are designed around our customers performance needs, environmental restrictions and application process.